HTC is joining forces with IGT for Las Vegas casino products. HTC has announced a partnership with the gaming software provider IGT to bring its state-of-the-art technology to the floors of Las Vegas casinos. 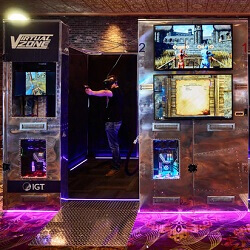 The IGT platform Virtual Zone, which is already in operation at Orleans Hotel and Casino, will be using software and hardware by HTC Vive Studios. This agreement will let Las Vegas casino patrons compete against one another in real time from within the VR environment created by IGT. Its Virtual Zone makes use of HTC Vive Head Mounted Display and Virtual Reality Content, which has now been enhanced to give customers the chance to take part in various tournaments for cash prizes. Unlike the majority of VR casino environments, available currently in online casinos, the Virtual Zone is actually available thanks to physical installations on the casino’s floor. The electronics company based in Taiwan announced the IGT partnership on Monday night, stating that the combined platform will help bring Virtual Reality to the mass casino market. Joel breton, the VIP for HTC Vive Global Content, commented on the agreement, stating that VR was enjoying a surge in popularity, especially as far as entertainment venues are concerned. With its new offering, HTC is entering the world of casino entertainment for the first time. 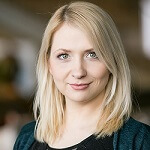 IGT, on the other hand, is a leading provider of software for casino gaming in terms of both online games and slots, and video poker machines for brick-and-mortar casinos.